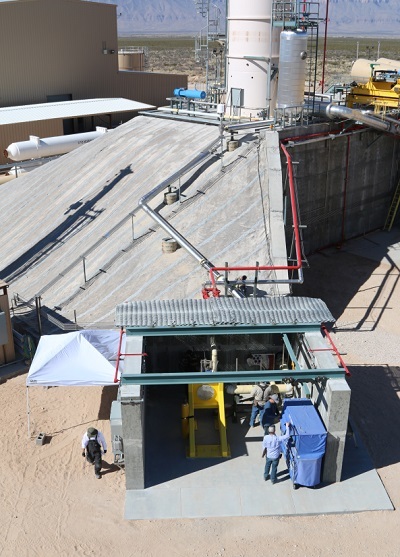 CULBERSON COUNTY, Texas (Blue Origin PR) — BE-4 testing is well underway at Blue Origin. To date, we’ve completed more than 170 staged-combustion tests – including 51 starts on a single regeneratively cooled chamber and nozzle. 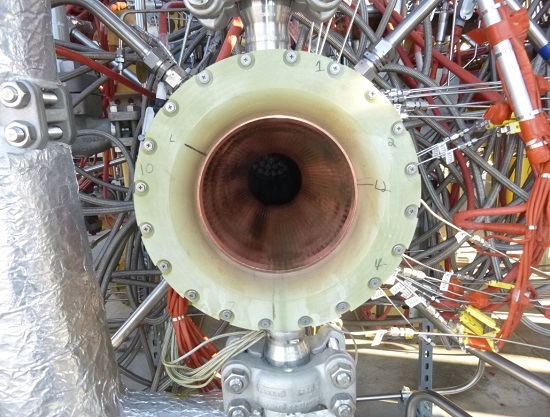 The preburner performed flawlessly and the main injector consistently demonstrated performance at the high end of our predictions, giving us confidence that we’ll get good specific impulse when we go to full-scale engine testing later this year. We’re building two new test cells. 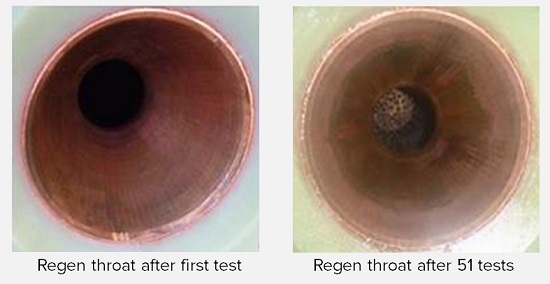 The first is a high-pressure cell that lets us run short-duration, full-scale isolated preburner tests. We’ll use this cell to refine the ignition sequence and understand the start transients. The second is another full engine test cell. Having two full engine test positions will allow us to further increase the testing pace. One of the many benefits of a privately funded engine development is that we can make and implement decisions quickly. Building these two new test cells is a $10 million commitment, and we as a team made the decision to move forward in 10 minutes. Less than three weeks later we were pouring the needed three-foot thick foundations. Private funding and rapid decision making are two of the reasons why the BE-4 is the fastest path to eliminate U.S. dependence on the Russian-made RD-180. 51 tests and still clean. they’re not kidding, methane really does not coke. Well well well.. Jeff is finally coming out of the closet? If you’ve got it, flaunt it. Looks like they’ve got it. An all-up BE-4 engine test by year’s end would be terrific. Will SpaceX be at a comparable point in their Raptor development by that time? Let’s hope Bezos’s remarks serve as additional incentive for Elon to Make It So.